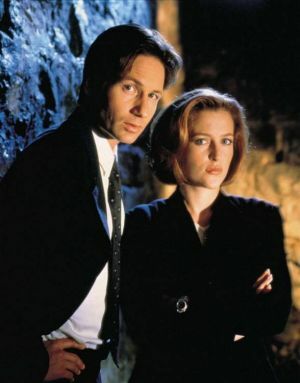 The X-Files has a new chapter currently on Fox, and now original episodes of Chris Carter's 1993-2002 series will join the MyNetworkTV primetime line-up this fall. MyNetwork TV will air two episodes back-to-back from the original The X-Files on a designated weeknight on MyNetworkTV. More info on which night will come during MyNetwork TV's upfront in a few months. MyNeywork TV's line-up currently has Law & Order SVU, The Walking Dead, The Closer, The Mentalist and Bones - all back-to-back on one weeknight each. Additionally, the original series starring David Duchovny and Gillian Anderson is also cleared for weekend syndication on the Fox Television Stations this fall. The new chapter of The X-Files concludes its six-episode season on Monday Feb. 22 at 8pm on Fox. 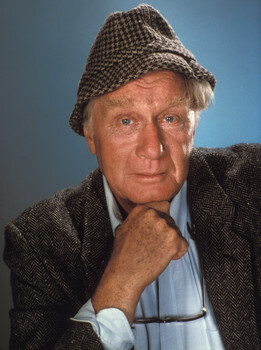 Actor George Gaynes, who starred as Commandant Eric Lassard in the Police Academy series and as Henry Warnimont in Punky Brewster, has died. He died at his daughter's home in North Bend, Washington on February 15. Mr. Gaynes was 98. His early television guest appearances included The Defenders, Hawaiian Eye, Cheyenne, The Alfred Hitchcock Hour, Empire, The Gallant Man, East Side/West Side, Bonzana, Mannix, Mission: Impossible, Hawaii Five-O, Columbo, Search, The Six Million Dollar Man, Cannon and McMillian & Wife. His early sitcom guest appearances included The Patty Duke Show, Hogan's Heroes, WKRP in Cincinnati and Cheers. He also directed the final episode of WKRP in Cincinnati in 1982. 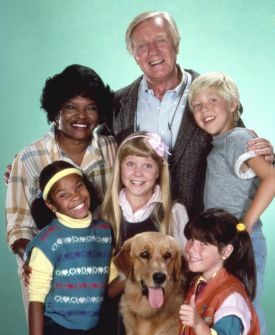 Gaynes starred as the curmudgeonly but lovable foster parent Henry Warnimont in Punky Brewster. His character was a building manager and widower. The series aired on NBC from 1984-1986 before moving to first-run syndication in 1987-1988. It starred Soleil Moon Frye, Cherie Johnson, Susie Garrett, Ami Foster and Casey Ellison. He voiced the character in the animated spin-off series It's Punky Brewster, which aired on NBC from 1985-1986. Gaynes was interviewed for the E! True Hollywood Story on Punky Brewster in 2006. He later starred as Senator Strobe Smithers in the first (1992-1993) season of Hearts Afire, which starred John Ritter and Markie Post. His other main roles included General Hospital in 1980 where he played Frank Smith, the mob boss brought down by Luke Spencer. He starred as high-powered theatrical producer Arthur Feldman in The Days and Nights of Molly Dodd from 1989-1991. His real-life wife, Allyn Ann McLerie, co-starred as his love interest in the series. Some of his later guest appearances included Hotel, Matlock, Chicago Hope and Sliders. 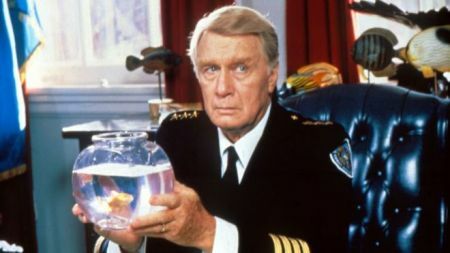 Gaynes starred as Commandant Eric Lassard in all seven Police Academy films. He was head of the Metropolitan Police Academy (sometimes also called the Midcity Police Academy). He reprised the role in an episode of Police Academy: The Series in 1998. Some of his other film credits included The Way We Were, Nickelodeon, Altered States, Tootsie, To Be or Not to Be, Micki & Maude, Vanya on 42nd Street, The Crucible, Wag the Dog and Just Married. Survivors include his wife Allyn Ann McLerie, their daughter Iya Gaynes Falcone Brown, one granddaughter and two great-granddaughters. Mr. Gaynes was a talented and versatile actor. He was wonderful in the Police Academy franchise and in Punky Brewster. He will be deeply missed. Share your memories on our Punky Brewster message board. View photos in our galleries. We also remember television and film composer Ray Colcord. He died on February 5 at his Studio City, California home after a long battle with pancreatic cancer. Mr. Colcord was 66. Colcord was the composer for many sitcoms in the 1980s and 1990s. 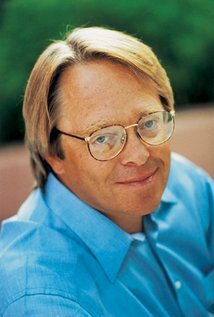 His credits included Silver Spoons, Double Trouble, Women in Prison, The Charmings, The Facts of Life, 227, My Two Dads, The Torkelsons, Where I Live, Dinosaurs, Maybe This Time, Hiller and Diller, You Wish, Boy Meets World, Family Affair and Lost at Home. Most recently, he was working on Disney Channel's Girl Meets World. His film credits included The Devonsville Terror, The Sleeping Car, The Paper Brigade, Amityville Dollhouse, Wish Upon a Star, Heartwood and The King's Guard. Survivors include his wife Madeleine, to whom he was married since 1983, son Alex and brother Marc. Mr. Colcord's music enhanced the sitcoms and films he worked on. His first season theme for Boy Meets World was excellent. He will be greatly missed.